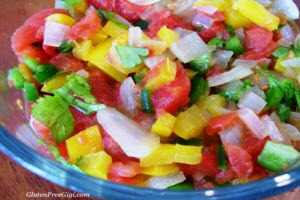 Full of vibrant colors and fresh flavors, this salsa is a terrific make ahead appetizer to serve to guests, at your next game night party or even as a topping for grilled meats. 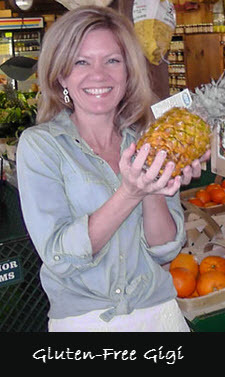 In a skillet over medium-high heat, sauté yellow pepper and onion in 2 Tablespoons oil until tender, about 5 minutes. Remove pan from heat; add orange zest and juice, then stir. Add chopped tomatoes, green bell pepper, cilantro, lime juice, salt and jalapenos, if using. Gently stir and transfer mixture to glass serving bowl. Add diced avocado to this salsa if you like. Keeps 1 week in the fridge, so is a terrific make-ahead snack for parties. Try adding a Tablespoon or two to your next omelet for an exciting twist.